Each year Call2Recycle Canada, Inc. recognizes battery collection partners for their outstanding participation in the Call2Recycle battery collection and recycling program. 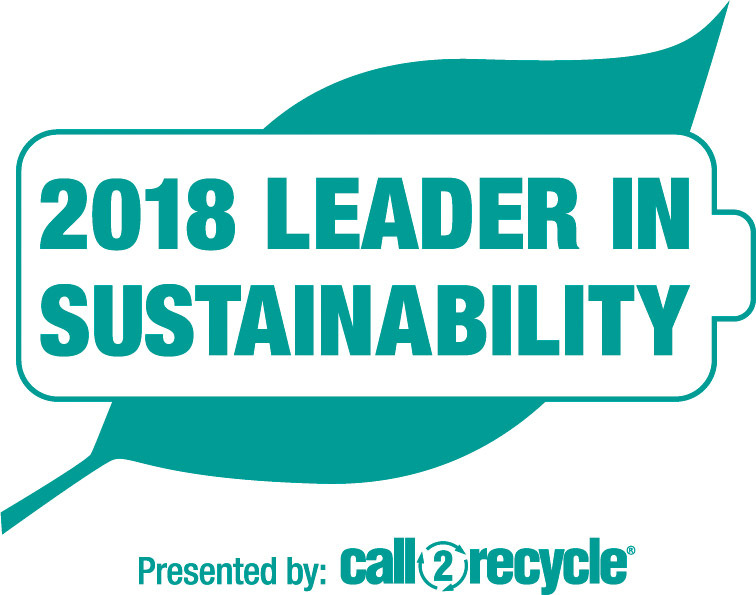 The Call2Recycle Leader in Sustainability Award is given to organizations demonstrating exceptional commitment to battery recycling and returning some of the highest quantities of batteries in 2018. This year’s recipients include retailers, e-waste recyclers, governments, municipalities, healthcare providers, and manufacturers. Thanks to the combined efforts of Call2Recycle and its collection partners, 2.7 million kilograms of batteries were collected and diverted from landfill last year.